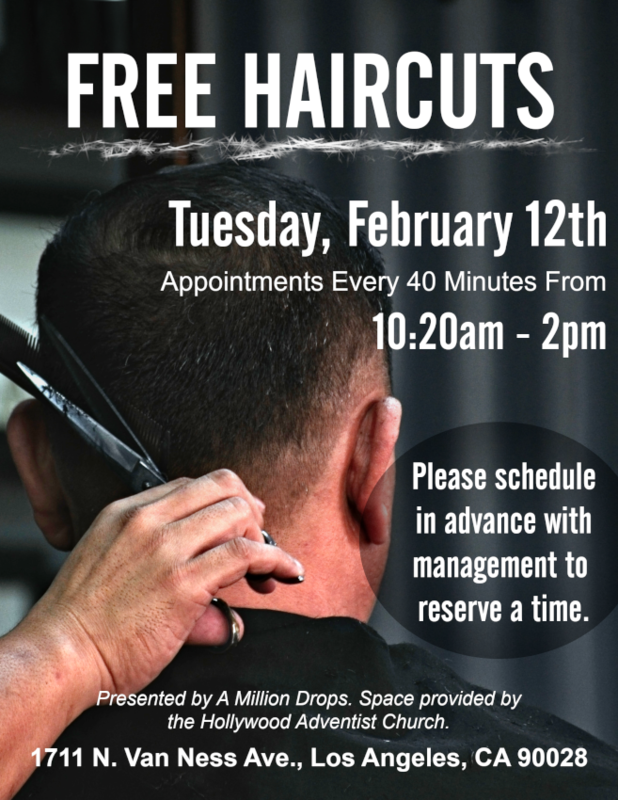 On Tuesday, February 12th a crew of professional stylists will be coming to provide free haircuts! Do you have a job interview coming up? Do you just want to look sharper? Feel fresher? Please SCHEDULE AN APPOINTMENT with A Million Drops management! Appointments are every 40 minutes from 10:20am – 2pm. The haircuts will be taking place in the Hollywood Adventist Church lobby (thank you for providing the space).